Researchers looked at data for 24 genetic disorders. 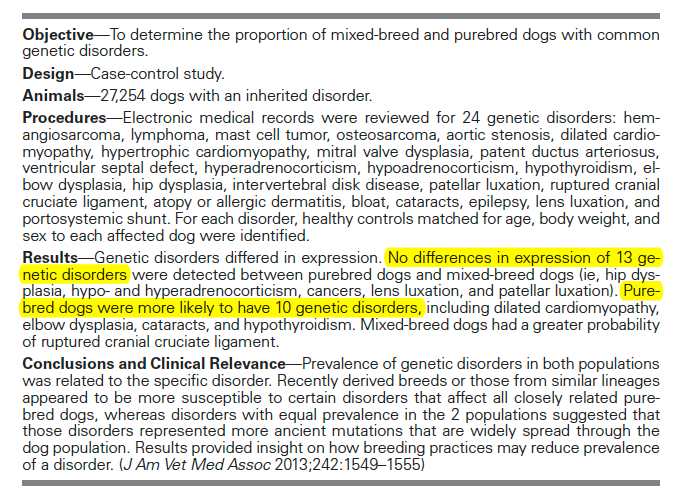 For 13 of these, incidence in purebreds was not different from that in mixed breed dogs. For 10 of the disorders (42%), purebreds were significantly more likely to be affected. Only for the incidence of ruptured cranial cruciate ligament were mixed breed dogs more affected than purebreds.